Takeaway: A major street in one of the biggest and busiest capital cities of the world isn’t the obvious place to go looking for a farm. But then again, Growing Underground is the most unlikely of farms. Alongside the bustling crowds of shoppers on Clapham High Street in south London, there is a lift shaft. Take a ride 120 feet down into the dark underbelly of London and you come out into a curved-roof cavern, lined neatly with shelves and lit with an eerie pink light. 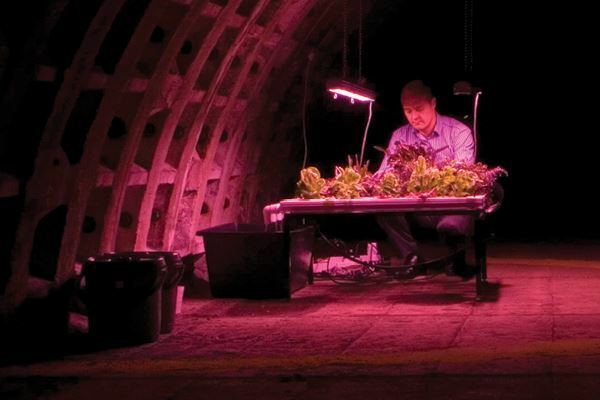 Welcome to the world’s first underground farm. 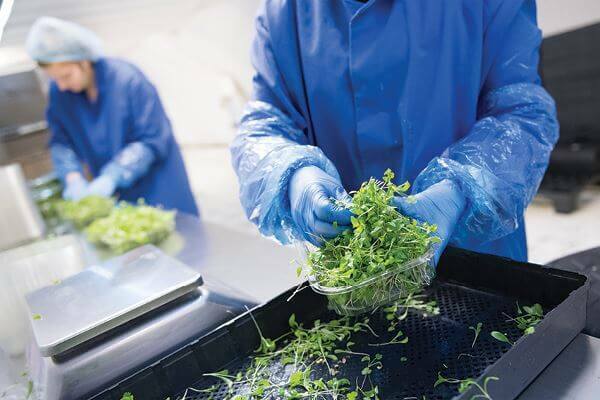 On the shelves are tray after tray of perfect fresh salads and herbs, feeding a 24/7 production line pumping out 2,000 one-ounce packs of gourmet salads each day. That’s more than 22 tons of fresh greens every year. Not one leaf sees sunlight until it’s picked, packed, and taken back up in the lift. Growing Underground prides itself on being very, very local: all customers are within a 25-mile radius, so there’s never any more than 24 hours between picking the salads and their arrival on someone’s plate. 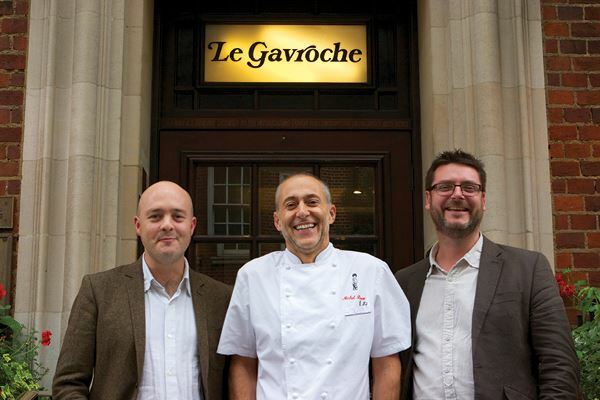 Often, that plate is served at London’s premier restaurants: chef Michel Roux Jr., holder of two Michelin stars, is on the board of directors, and this year the company supplied another Michelin-starred chef, Raymond Blanc, with micro-herbs for his pop-up restaurant at the Royal Horticultural Society’s Chelsea Flower Show. All this is the creation of two childhood friends, Steve Dring and Rich Ballard. They grew up in agricultural southwest England, so it was quite natural after they both moved to London to find themselves discussing sustainable ways of supplying food to a growing world population over a pint in the local pub. 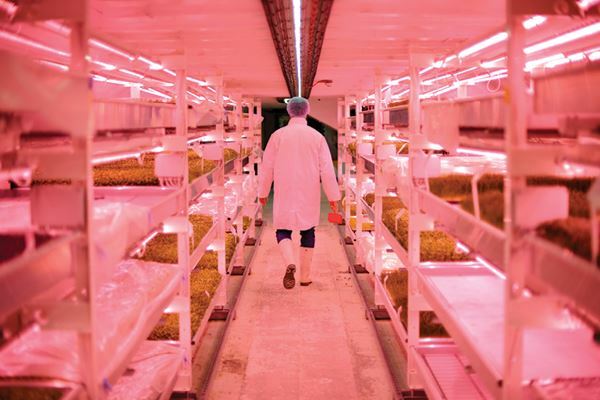 They started investigating vertical urban farming after seeing “plantscraper” projects springing up in high-rise blocks in Chicago and Sweden. But London real estate prices are notoriously expensive and they soon realized going up was not financially viable. Then Rich, a film student at the time, was scouting for locations and discovered the networks of abandoned air-raid shelters hidden all over London. The cavern in Clapham once sheltered up to 8,000 people fleeing the bombs of the Second World War, but it had lain largely forgotten since the 1950s. 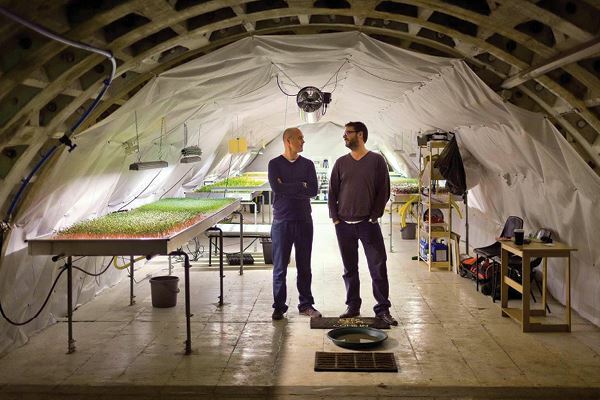 Steve and Rich took it on at a peppercorn rent, reasoning that if you can grow salads in tower blocks, you can do the same under the earth too. They chose salads and herbs as they grow quickly and take up little space. They now offer about 12 different varieties, including Thai basil, red-veined sorrel, garlic chives, pea shoots, red amaranth, and watercress. Working with hydroponics specialist Chris Nelson, they devised a method of germinating seeds on mats made from recycled carpet offcuts. Once germinated, each mat is moved onto benches under low-energy LED lights, the technology that makes the whole project possible. Fans keep the air moving and an irrigation system takes care of watering, delivering not just the perfect amount of moisture but also a specially-formulated combination of nutrients. Runoff is treated on-site and recirculated, so none is wasted. The system uses, on average, 70 per cent less water than conventional farming. They have no pests to contend with underground. “Not even spiders,” says Steve. So, pesticides aren’t required, although strict biosecurity measures prevent visitors inadvertently bringing bugs in via the lift shaft. 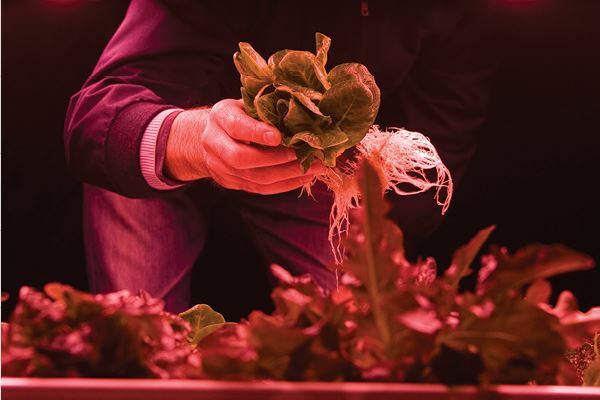 Isolated from such day-to-day concerns as soil, weather, and sunshine Steve and Rich are in complete control of every aspect of their tiny charges’ lives, from seed to salad leaf. The business aims to be carbon neutral. Packaging is made of recycled materials, renewable solar and wind energy provide the light and ventilation, and their accounts painstakingly list the carbon value of all their activities, with any surplus offset. Now, five years in, the operation is slick and sci-fi, like a movie set lifted straight from Apollo 13. Only the occasional rumble of a Northern Line underground train passing nearby reminds you where you really are. Not that Steve and Rich are settling back on their laurels, though. They have expansion in their sights. The business currently uses just a single tunnel—about 7,000 square feet—but there are another five, some 65,000 square feet altogether. 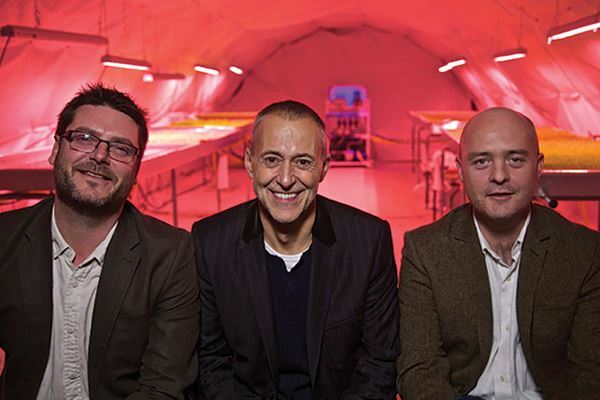 They’ve taken their first steps into retail, signing deals with online food delivery service Ocado and entering talks with major supermarkets. And after raising, partially though crowdfunding, approximately US$1.56 million for setting up the business, they’re now looking for more investment so they can spread the word and perhaps inspire similar projects elsewhere in the world.